Come! Buy! Support the Foodbank! Eat! Yum! I'm bringing Fuyu Persimmon Mini Bundt Cakes with Maple Glaze and there will be sooo much good stuff to eat! I'm bummed I have to work at the library this day, but hopefully some friends can get me some goodies! Los Angeles friends, book this date in your calendar now! 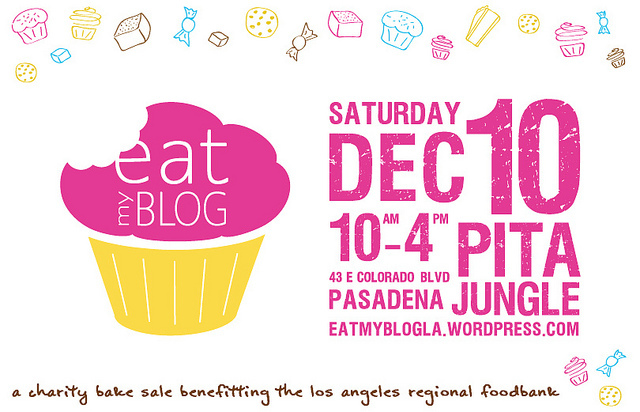 More information on the Eat My Blog LA website!